The summer has reached us here in Vienna. Building on our well-established tradition, the Arb|Aut/YAAP-Summer Drinks offer the opportunity to meet the Austrian arbitration community in a relaxed atmosphere before leaving for summer vacation. If you wish to join us, please register on our website. Currently the 50th session of the UNCITRAL is held at the Vienna International Centre in Vienna. Celebrating its 50th anniversary and exploring new directions in cross-border commerce UNCITRAL hosted a three day Congress titled “Modernizing International Trade Law to Support Innovation and Sustainable Development”. In the courts of the Congress outstanding experts discussed among others developments in the settlement of commercial disputes, possible reforms of investor-state dispute settlement and the needs for an international framework on arbitration. On 5 July 2017 Arb|Aut – together with the City of Vienna and the Vienna International Arbitral Centre (VIAC) – hosted a Cocktail reception to celebrate the 50th Anniversary of UNICTRAL. Professor Emmanuel Gaillard and Professor George Bermann presented the “The UNCITRAL Secretariat Guide on the New York Convention”. We just opened the registration for the fifth Dreiländer-Konferenz jointly organized by LIS, ASA and Arb|Aut held in Zurich on 01 September 2017. Like in previous years the Dreiländer-Konferenz will be a unique possibility to maintain and enhance existing contacts and to build new contacts to the Swiss and Liechtenstein arbitration community. We will discuss recent topics in German language. From the organizers I understand that already delegates from all major Swiss and Liechtenstein firms have registered. If you wish to be a part of this distinguished community, you may use the online registration. We are excited to hear Lord Jonathan Mance (Justice of the Supreme Court of the United Kingdom) and Dr. Erich Schwarzenbacher (member of the Austrian Supreme Court of Justice) discuss current topics in arbitration. Please note that this Arb|Aut forum will already start at 6:00 p.m. We will inform you when the registration starts. The details for the 5th Arb|Aut forum which will be held on 30 October 2017 will be announced soon. Over the years the Vienna Arbitration Days have become the leading arbitration conference in Austria. 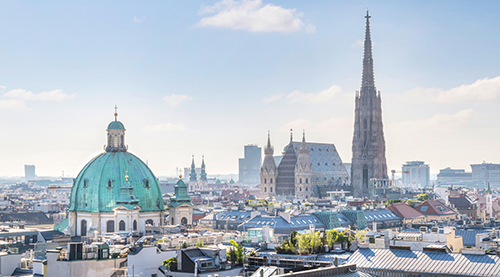 The Vienna Arbitration Days 2018 will take place from 19 – 20 January 2018 and will venture into “New Fields and New Ways of Arbitration”. You may look forward to a prominent keynote speaker, distinguished panels and two days of discussion with leading international arbitration experts. We will reveal more details soon. Arb|Aut, YAAP and VIAC are co-organizers of the 1st edition of GAR Live Vienna. The conference will be held on 20 October 2017 in the wonderful SkyLounge of the Austrian Federal Economic Chamber offering a number of exiting sessions. Next week the Austrian Arbitration Academy will start this year’s summer program. Again students and graduates from the University of Vienna will meet students and practitioners from all over the world for an intense two-week program. Arb|Aut is proud to have announced the Arb|Aut scholarship for the participation in this program. This year the Arb|Aut scholarship was awarded to Anna Novitskaya, an outstanding law student from Moscow, currently working on her PhD at the University of Rome Tor Vergata. We hope that Anna and all other participants of the Summer School have a successful and enjoyable time in St. Gilgen and are sure that they will benefit in their further studies and future career. While the Summer School has not yet started it is time to consider applying for the Austrian Arbitration Academy Winter Program. The application deadline is 31 October 2017. Jointly organized by the Vienna International Arbitral Centre, the Young Austrian Arbitration Practitioners, the Austrian Arbitration Association and the Sommerhochschule of the University of Vienna, which has been hosting an annual international summer school in Strobl/Wolfgangsee since 1949 and the Austrian Arbitration Academy since 2014, this program has been specifically devised for participants with first experience in the area of international arbitration. On behalf of Arb|Aut let me wish you a nice summer and vacation. I hope that you will make some time for relaxation.